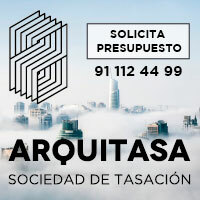 On other occasions, some advertisements published in film magazines have already been mentioned in this space, in which an architect or a building appears in their images, related to the cinematographic activity. A few days ago I found the one that is reproduced above, in a number of Moving Picture World appeared in November 1920. 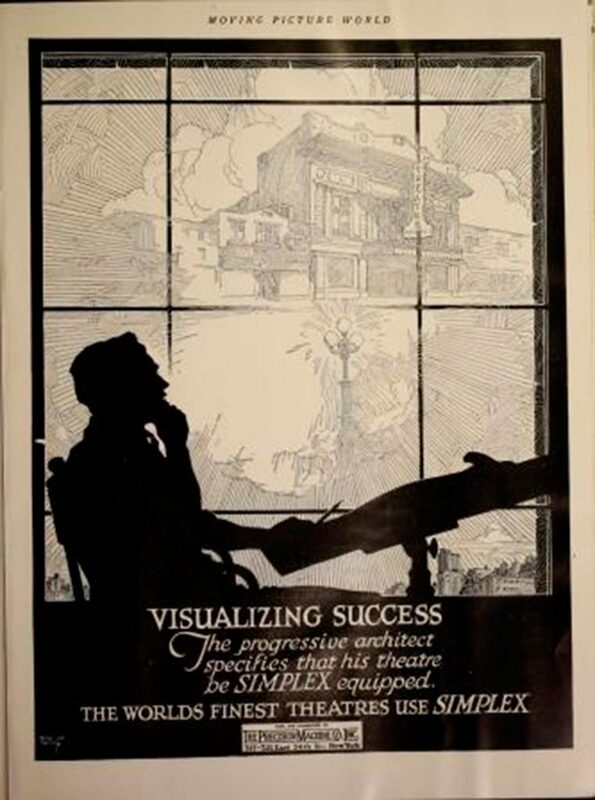 In this ad, signed in its lower left corner by Allied Art Service, appears the silhouette of a pensive man, sitting in front of a drawing board with a pencil in his left hand and in front of a large window, through which the crowning of some buildings can be seen in the lower part, so the dependency in which that man finds himself must be located in a tall building, and above some clouds between which appears the façade of a theater, which seems a dream of that professional, is not sure what is the reason that in front of this building there is a street lamp with three lights on, which seem to illuminate the whole. Thanks to the text, we know that this man is an architect, but the first thing that strikes us today is that we do not know what is being announced, what was Simplex and what the company The Precision Machine manufactured, because the advertisement does not indicate it , that means that it should be a very well-known company at that time. Searching for data is found to be a brand of projectors and if you want to know its history, you can check this link. Regarding the architect, the stereotype of the professional dreamer is repeated, even progressive -according to the text-, which is in the shade, against the light and therefore we do not know what his physiognomy looks like, but he is able from his studio to visualize his ideal projects and successfully – also according to the text -, before putting them into practice. The truth is that his project is not advanced, but rather conventional, a two-story building with the typical marquee on top of its entrance, a sign perpendicular to the façade level, with part of a cantilevered roof on the top floor and above the parapet of the roof topped with historicist ornaments; an uninteresting set that copies the appearance of numerous American cinemas of that decade. 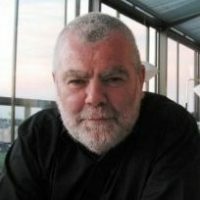 Although the announcement is curious from the formal point of view, it is a pity that, as happens to others, it does not succeed in the architectural field.